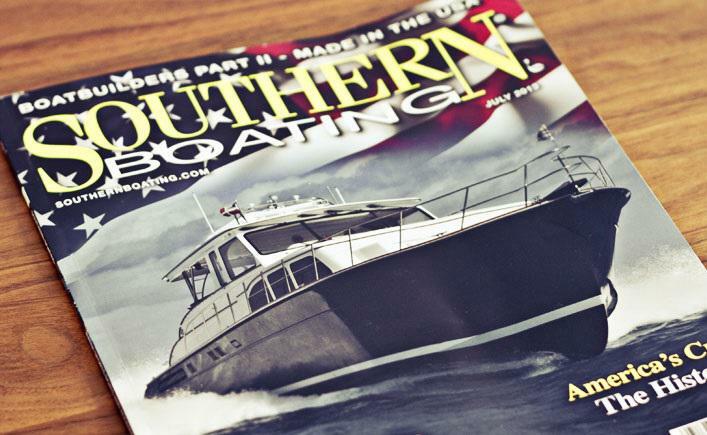 Huckins Yacht is proud to be featured on the cover of this month’s July 2013 issue of Southern Boating. This issue features Part II in a series that explores American yacht manufacturers. Celebrating our 85th anniversary this year, the article reports on our history and our future. Have a read as they cover The Journey – our plan to visit every Huckins still on the water. Read the full article attached or click here.